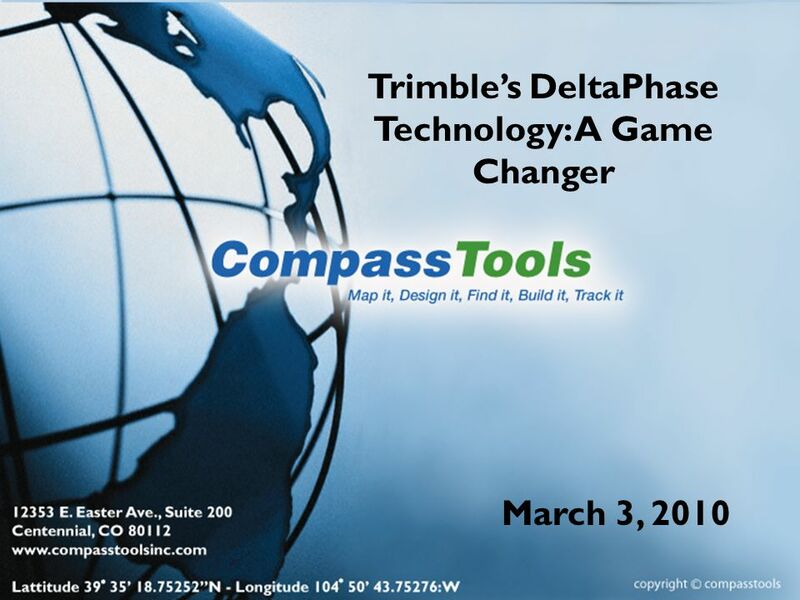 Trimbles DeltaPhase Technology: A Game Changer March 3, 2010. 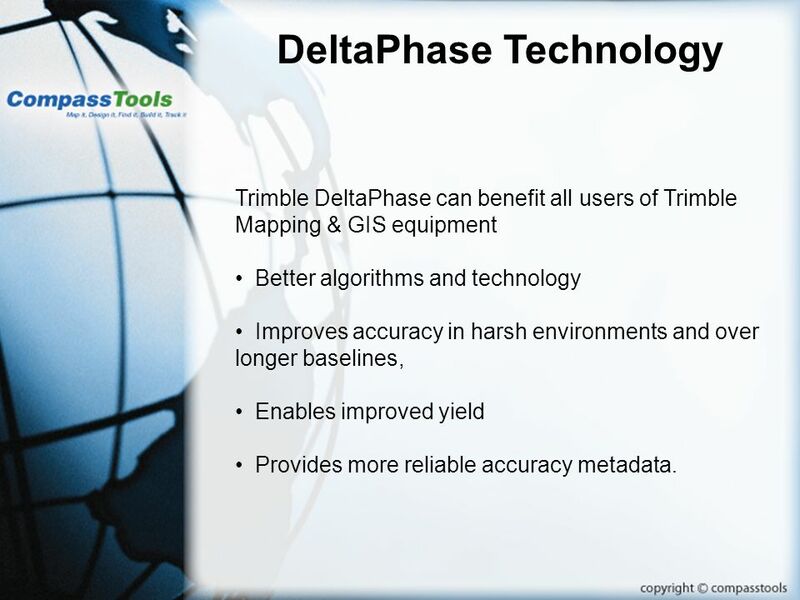 3 DeltaPhase Technology Trimble DeltaPhase can benefit all users of Trimble Mapping & GIS equipment Better algorithms and technology Improves accuracy in harsh environments and over longer baselines, Enables improved yield Provides more reliable accuracy metadata. 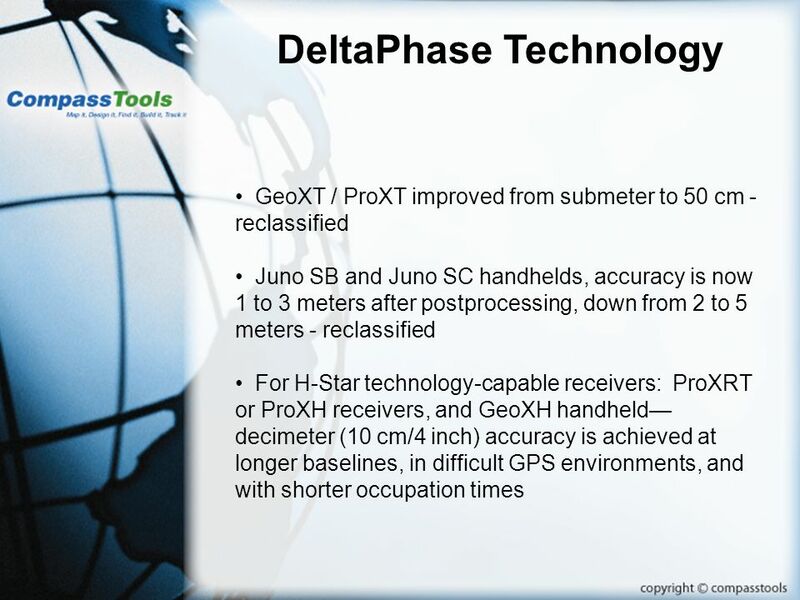 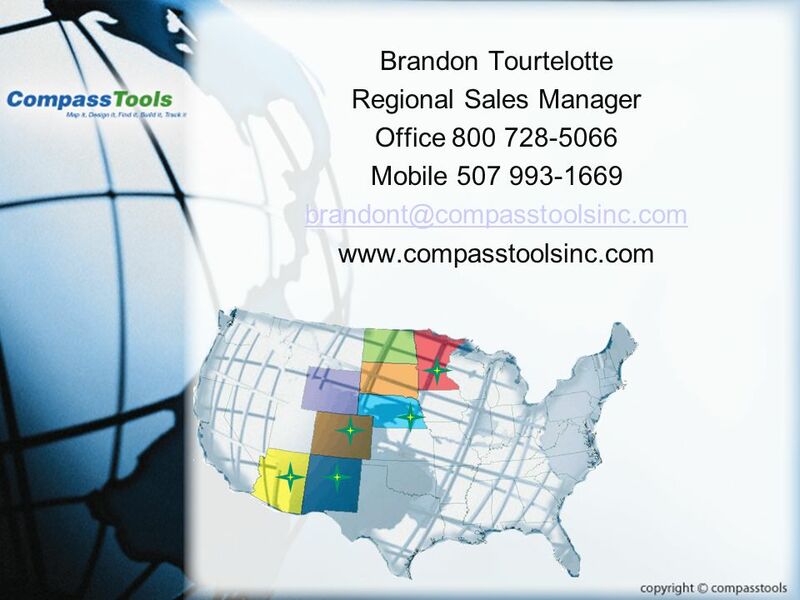 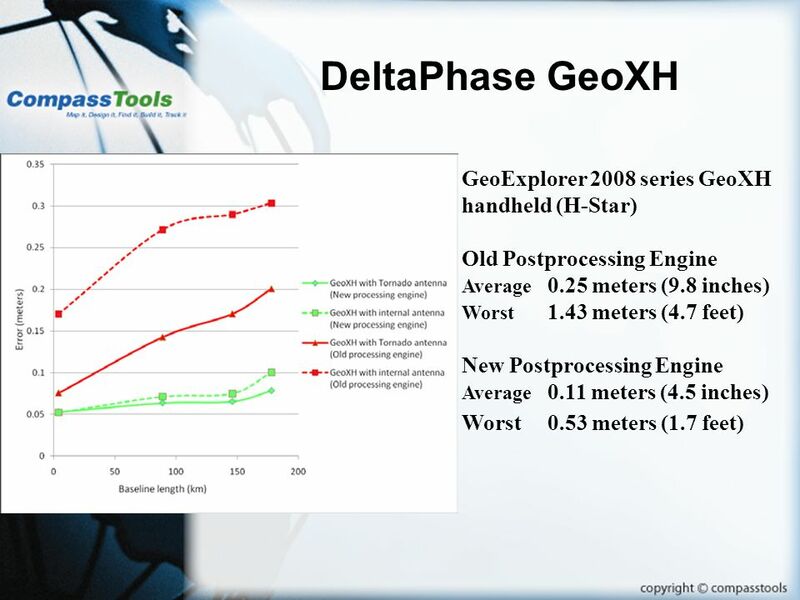 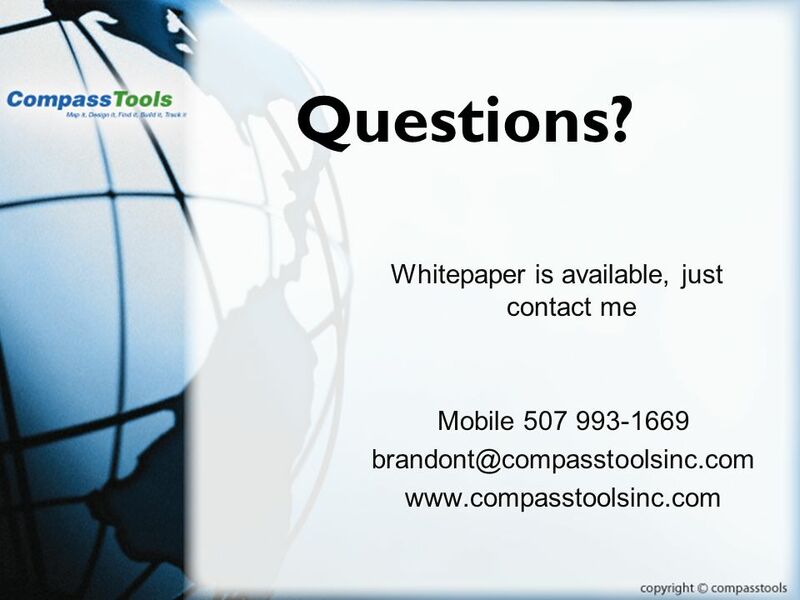 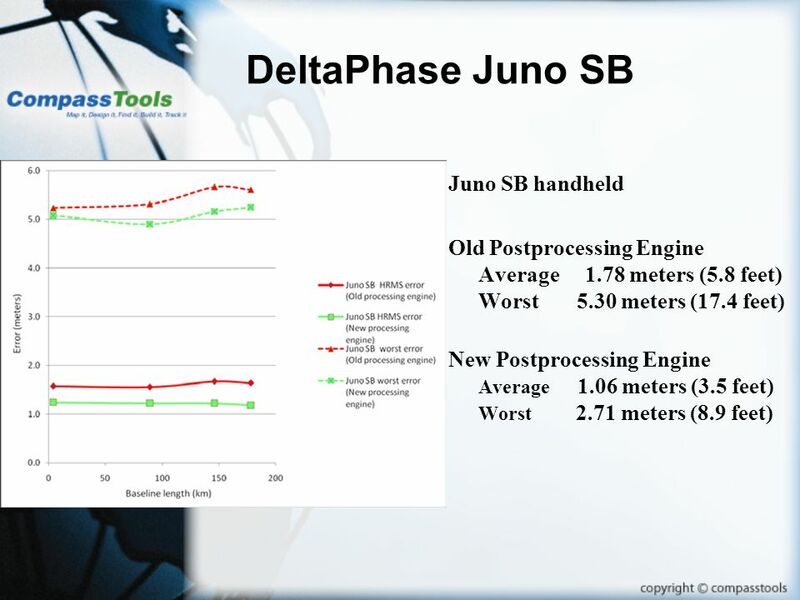 Download ppt "Trimbles DeltaPhase Technology: A Game Changer March 3, 2010." 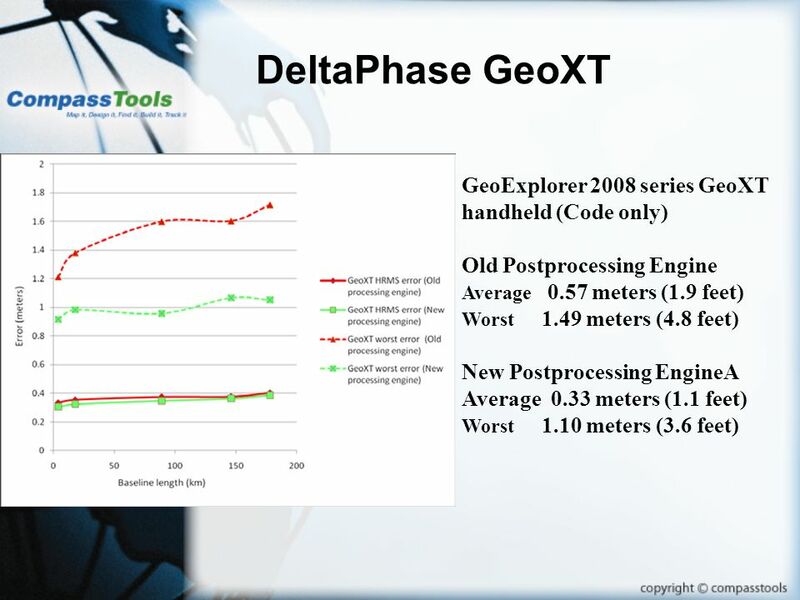 Will you be… MappingMapping or Navigating?Navigating Which GPS Receiver Do I Need?